No this isn't some crappy gag or bootlegged clip. What we have here is a fantastic piece of worldwide viral advertising the likes of which we have never seen. Scour YouTube and you'll find similar clips from Japan, Mexico and Russia but arguably none more iconic than that of our fair Sydney Opera House. 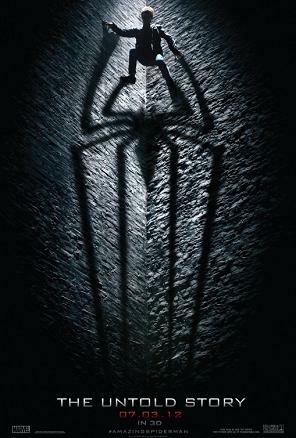 The Amazing Spider-Man is set for an Australian release on the 4th of July 2012 and stars Andrew Garfield as Peter Parker/Spider-Man, Emma Stone as Gwen Stacy, Rhys Ifans as Dr Connors/The Lizard and Martin Sheen as Uncle Ben. Being directed by Marc Webb (500 Days of Summer), I can only hope that he exhibits an equally deft touch in the realm of my favourite comic character, our friendly neighbourhood Spider-Man. Check out the clip after the jump!